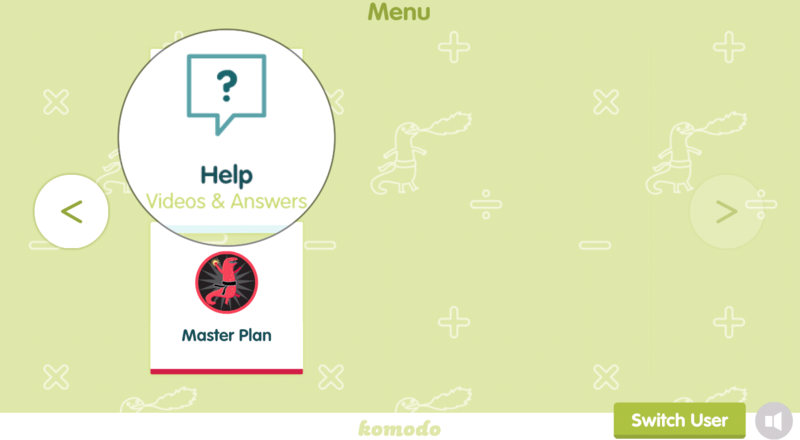 Following feedback from parents, we have designed Komodo to have very little sound as your child is using it. So if you can't hear anything, there's unlikely to be a problem! If the sound isn't working in the help videos in the app, and you've checked that it is working for other apps or videos, please get in touch by clicking the messenger button at the bottom right of your screen. You can quickly find some of our videos from your menu by clicking the right arrow, and then selecting Help - Videos and Answers.